We have worked in the garage door industry since the late 90's. 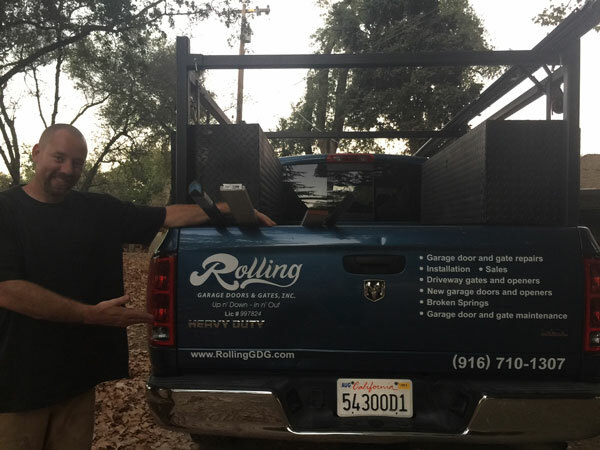 While we have ventured off into other industries but always found ourselves coming back to garage doors as meeting new people and making sure their biggest moving component of their home is safe is extremely rewarding to us. We strive on perfection, education, and satisfaction of our work. If our customers are not happy, we are not happy. We separate ourselves from everyone else in the industry by using top of the line hardware, installing only correct and necessary parts, and thoroughly informing each customer of their necessary repairs. We value and abide by honesty, integrity, and professionalism in our work as we strive to do our best for every customer. From start to finish: I always call each customer when I am on my way to their home and am very prompt when on the job. I explain in detail to every customer what is wrong and why it’s wrong, giving a full education on the causes of the problem and how to avoid it in the future. One of my main goals as a serviceman is to ensure the customer understands the problem and feels comfortable with me as a technician. I understand and know the full context of doors and can diagnose internal opener problems quickly and efficiently with years of experience. I never leave a home with a "band aid" repair on their door, I enter each home as if it where my own and fix the problem in the most professional and effective way possible. I can even fix internal problems on openers, passing savings down to the customer by avoiding replacements. My favorite thing to hear from a customer when leaving their home is, "I have never heard my door this quiet and have lived here for over 20 years." This statement is what I work for on every job. Seeing an elderly person able to lift their garage door manually after completion of job is extremely rewarding. This gives me the peace of mind that in an emergency they will have a safe exit. Rolling Garage Doors & Gates cares deeply about our Customers and that is why we don't try to be a clone of other services providers. This is where the benefits of our services begin separating us from the others. We are a Full-Service Garage Door & Opener and Driveway Gate & Operator Provider of Services that include Custom Designs, Installations, Repairs, and Replacement. We stand alone in the fact that we only install quality products, we consistently deliver high-quality craftsmanship, cherished every customer and always stand behind all our work 100%. Our Reputation, Customers Reviews, and Customer Service Awards speak volumes for who we are as a Professional Garage Door & Driveway Gate Repair, Replacement, New Installation Services Provider. You will not find another company that holds to their standards and consistently pays attention to the details higher than Rolling Garage Doors & Gates, Inc. our work ethic and results say it all. We Proudly provide our Garage Door & Driveway Gate Services throughout Northern Eastern California; Sacramento to Truckee with prominent coverage in Auburn, Grass Valley, Colfax, Loomis, Rocklin, Roseville areas to Sacramento, and most other cities and towns in between. We are passionate about what we do and we would feel honored to have you as our customer. All you have to do is contact us. If we can't accommodate your needs, we will recommend a trusted service provider who can. We are here to help people keep their homes, property, and families save behind functional, decorative and secure Garage Doors and Driveway Gates. That's What We Do.